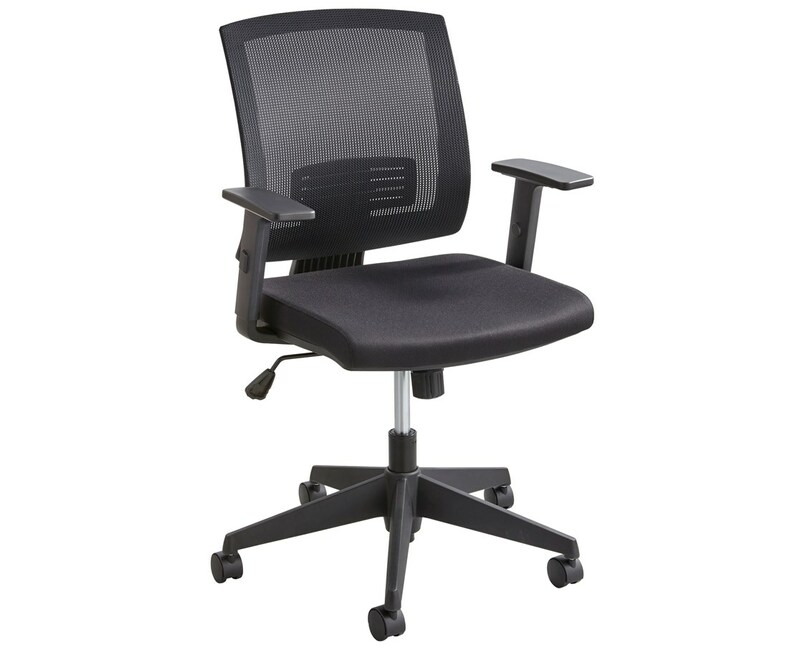 The Safco Mezzo Task Chair is an economical office chair that does not compromise function and look. 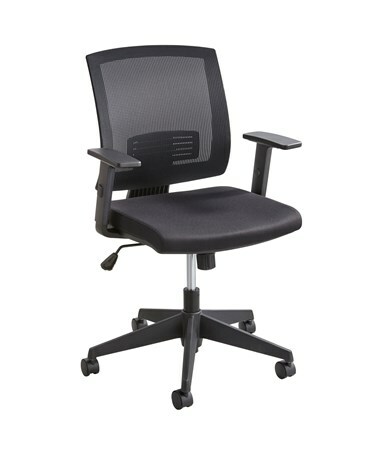 It features a mesh back for breathability and an upholstered seat for comfort. It also has an adjustable T-pad arms and an adjustable lumbar. It is tough enough to hold weight of up to 250 pounds. The seat swivels 360 degrees and has a rocking mechanism with tilt tension and tilt lock. Its height can be adjusted from 16 to 20 inches using the pneumatic adjustment lever. The 25-inches diameter base has five swivel casters that make the chair mobile. This task chair is made of nylon with a steel frame. It also meets the BIFMA industry safety standards. Adjustable height of 16" to 20"
Height 34 ½" to 38"